**All participants must complete forms. Do you have a future Veterinarian at home? 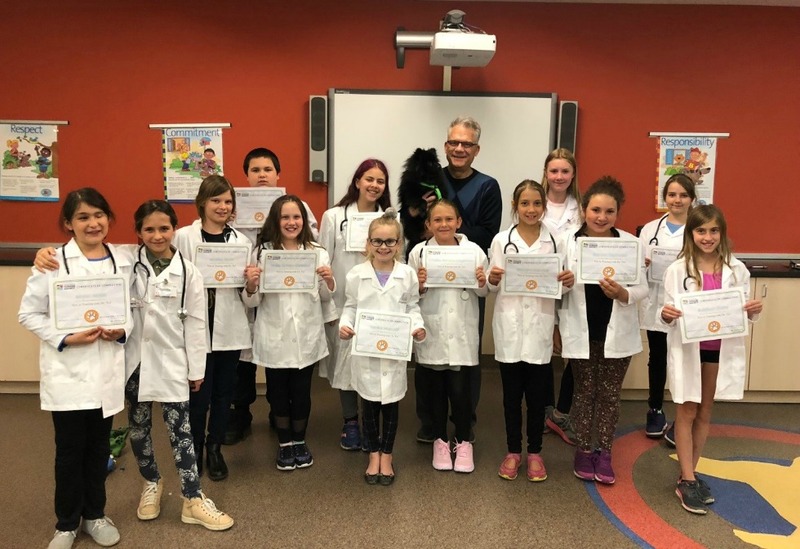 Veterinarian Dr. Ted Purcell teaches this 6-week after school program designed for those children who aspire to work with animals in the medical field. Throughout the 6 weeks, our vets in training will learn about the anatomy of different domesticated species, how to conduct a physical exam, the importance of vaccinations, different case studies presented by a real veterinarian, and will even observe a surgery! Participants will receive a lab coat, stethoscope, binder, and pen on the first week of the course, and a certificate of completion on the last day. This program is suited for children between the ages of 9 and 12 years. PLEASE NOTE: REGISTRATION IS NOW FULL.